Whether in the residential commercial, property management or affiliated area, your Spokane Association of REALTORS® can be a valuable asset. As a member you have a wide variety of benefits and services available to you. 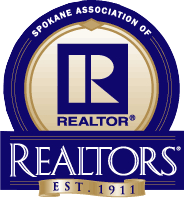 For more information about Spokane Association of REALTORS® membership, send an email to sar@spokanerealtor.com or call 509.326.9222. Call Brenda Davenport at the Association (509-326-9222) to schedule an appointment to join.